First page of Edwin Hubble's doctoral dissertation at University of Chicago (1920). 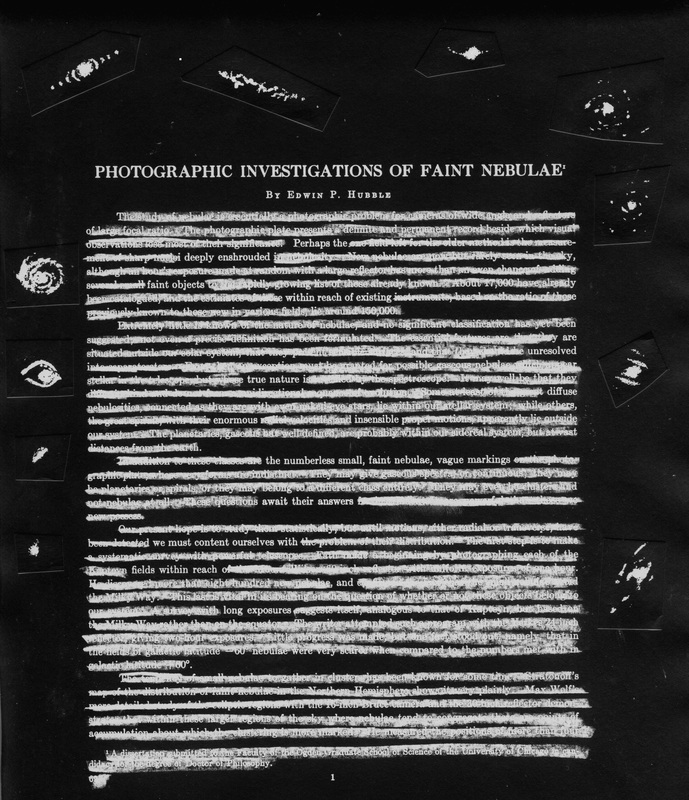 I redacted the text into a poem with a black pastel chalk then created a photo negative. 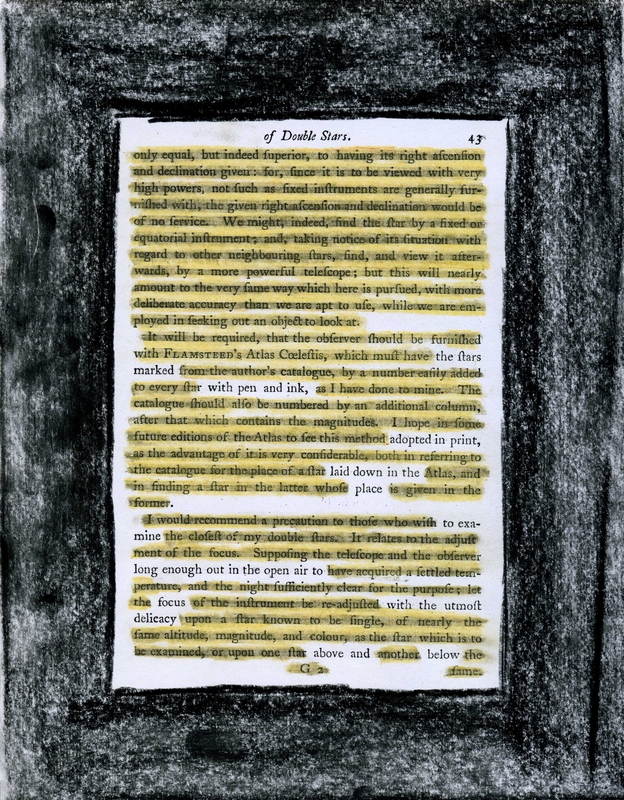 I glued examples of Wolf's Classes of Nebulae (Plate III in Hubble's dissertation) into the margins to create a kind of artificial, tacked-on, unreadable marginalia. William Herschel’s “Catalogue of Double Stars,” published in 1785 in Philosophical Transactions, redacted into a poem. 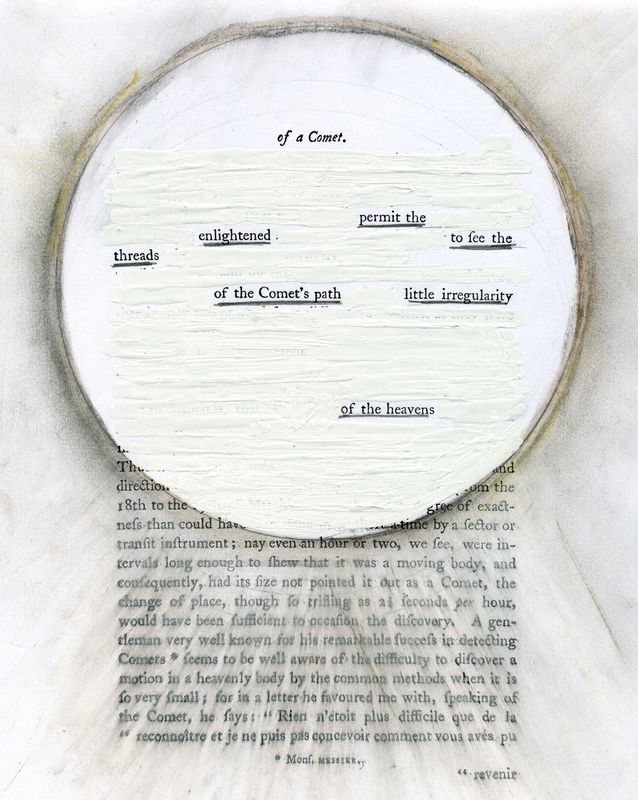 William Herschel’s “Account of a Comet,” published in 1781 in Philosophical Transactions, redacted into a poem. 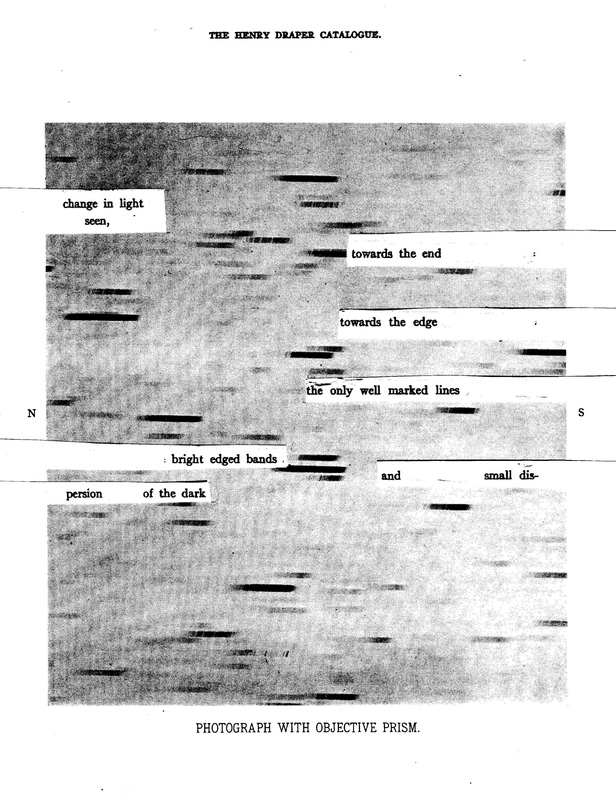 William Herschel’s “On the Power of Penetrating into Space by Telescopes,” published in 1800 in Philosophical Transactions, redacted into a poem. 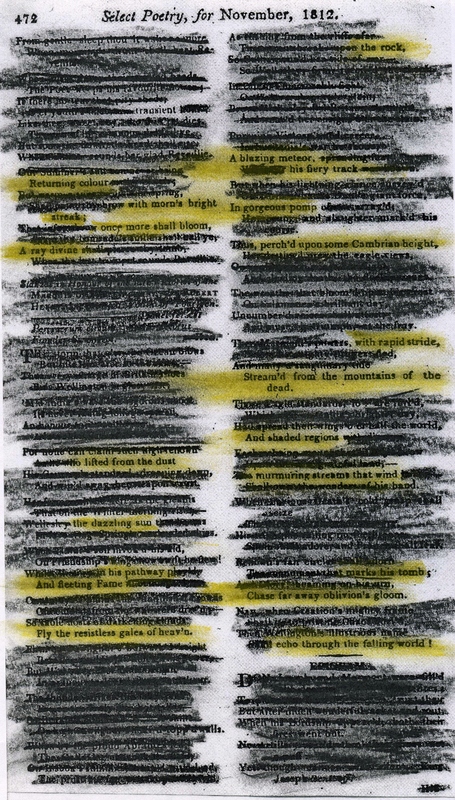 Two columns of poetry from “The Gentleman’s Magazine” (1812) redacted into a single astronomy poem.